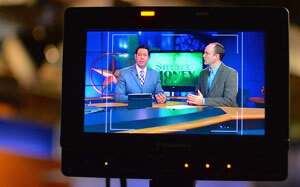 Neil was co-host of the Smart Money financial segment on KCEN, a Central Texas NBC affiliate. The segment ran for over 8 years and aired weekly during the Texas Today morning show. The weekly segment was designed to provide helpful financial information and to answer viewer questions. 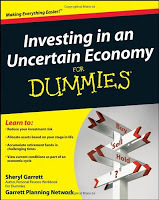 Neil was a contributor to the book Investing in an Uncertain Economy for Dummies. At the time of its release in 2008, unemployment was at a 14-year high, home prices had been declining for over two years, and the stock market was entering the second year of a bear market. Describing the economy as “uncertain” was an understatement! Investing in an Uncertain Economy featured advice from several independent, fee-only financial advisors. The book was written in a “tips” format, meaning the content was broken down into bite-sized pieces on a wide array of financial and investing topics. It was a great book for beginners or for use as a reference. Unfortunately the book is out of print, but used copies might still be available online from Amazon or other retailers. * I also keep a few copies on my bookshelf if you’d like to stop by and take a look at one! *I do not receive any royalties or other compensation as a contributor. Neil has been featured in AdviceIQ / USA Today, the Wall Street Journal, and on Morningstar.com.